Area (approx): 880 sq. ft. This home was upgraded in 2015. Newer items include dual pane windows, roof, walk-in showers, newer appliances and more. Front porch entry, beautiful kitchen, large living room. Both bathrooms have been upgraded with shower stalls. Master bedroom features a private bathroom. Guest bedroom and bathroom. Enjoy coffee on your own covered deck! El Cajon Valley Mobile Home Park is a beautiful senior community with lots of monthly activities. Lot rent is $770 and includes water and sewer. Don't miss this home, call to see today! 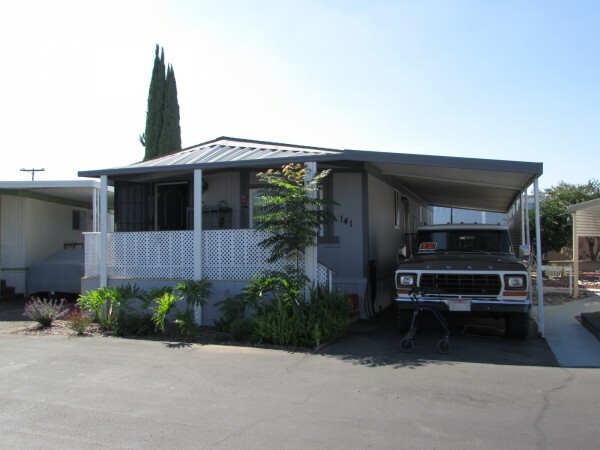 This well maintained senior community is the envy of El Cajon. Superb management and resort like club-house. Enjoy reading a book in the in-house library or next to the fireplace. Join the many resident activities.